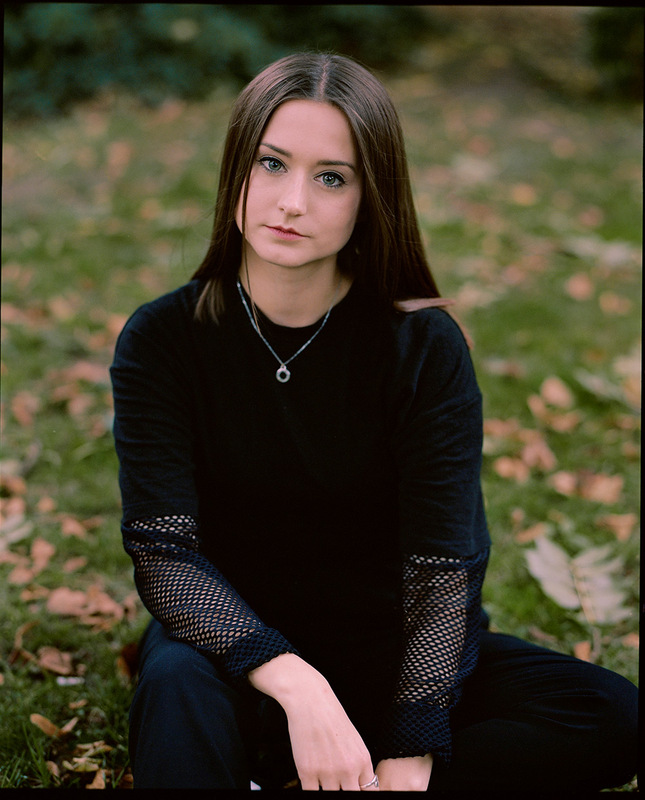 Becka Saville is a London based digital designer who, in just 4 years since graduating from Manchester School of Art, has been commissioned by the likes of Stella McCartney, Rinse FM and Pitch Studios, and is now working as creative designer at MTV and Comedy Central. Her unique blend of digitally rendered shapes and pink hues create an aesthetic that’s part ‘90s futuristic daydream, part glitchy computer graphics. With an evident love for pink, you’d be forgiven (maybe) for labelling her work as “girly” on first glance, but the extent to which she takes this direction, and the powerful textures and typography she uses within it, create an empowered aesthetic of femininity that’s both alluring and powerful. Constantly exploring concepts in textures and colours, her Instagram account has become a destination for anyone into digitally rendered dreamscapes. We met up with Becka in London to get to know her, her work and her career to date. Becka Saville, by Nima Elm. Was it always your plan to become a visual designer? I always had the idea that I wanted to do something within graphic design, but during university I found that I enjoyed editorial design after an internship at Vogue, so I moved more into digital after the launch of digital publications. I followed the digital design path for a few years, mainly for editorial/fashion related companies, and kept my experimental work for Instagram and some freelance work. Over the past year, since being at MTV and Comedy Central as creative designer, I’ve been given a chance to marry my experimental work with the commercial side and have a sense of creative freedom. I couldn’t ask for more really. Explorations in texture and colour. I think from just creating something daily. Having to commute two hours a day to work, I used that time to experiment with lots of software and just have fun with it. I use that same approach now, remixing works to see how they evolve. When you’re in need of a hit of inspiration, where do you turn? Going to the Wellcome Collection library on Sundays is perfect for some inspiration. It’s so peaceful. All the books on psychology make my mind wander and there’s always a great exhibition on. It’s a great place to go on your own for some quiet reflection and to think about current and upcoming projects. Flowers, roses in particular, feature in a lot of your pieces. Why is this? The roses just organically creeped into my new digital collages that I’ve been making recently. I experiment with a lot of old photos I’ve taken, scrolling endlessly until I find sets of images I think could work together. Those are roses in my parents garden taken last spring. Something related to outer space, with no budget limitations. Becka Saville, for MTV, 2017. What’s been your favourite commission or piece of work to date? I really enjoyed doing the spring interstitials for MTV International this year. It was fun trying to find the perfect sheep noise for sounds of spring. Commission wise, Stella McCartney’s #POPNOW social campaign was probably my favourite so far. 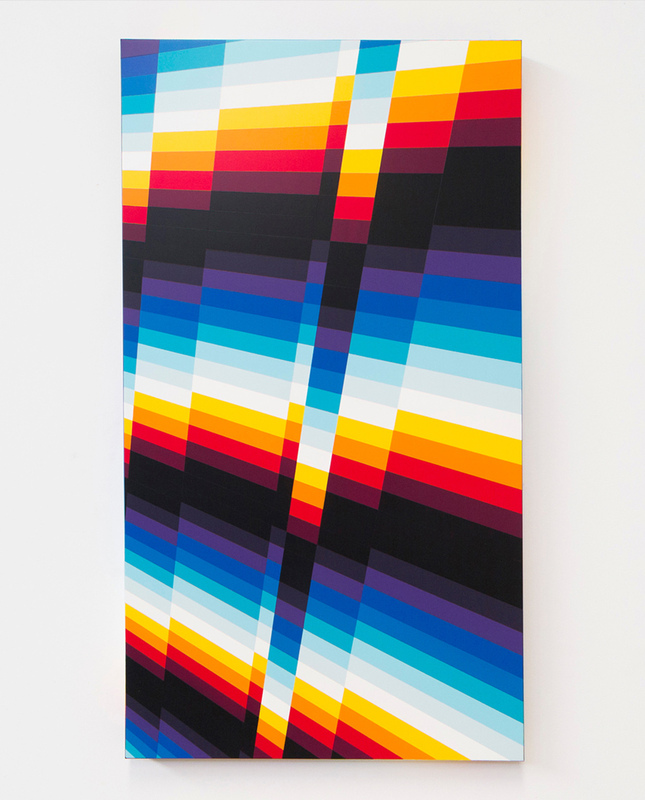 It was a digital collaboration series that worked with different female artists across Stella’s channels. 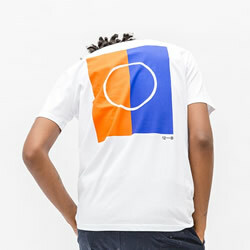 The project and brand was great in terms of it’s girl power ethos, and overall it was great to be part of. Plus the fragrance smells amazing. What can we expect to see from you for the rest of the year? Lots of new fun social content, show rebrands, interstitials and more for MTV and Comedy Central. We’ll be up in Glasgow at the end of October for Graphic Design Festival Scotland as we’re hosting a 2-day workshop this year, so if anyone’s going to that, see you there! Shop Becka’s limited edition tee now and follow her on Instagram to stay up-to-date with her work. 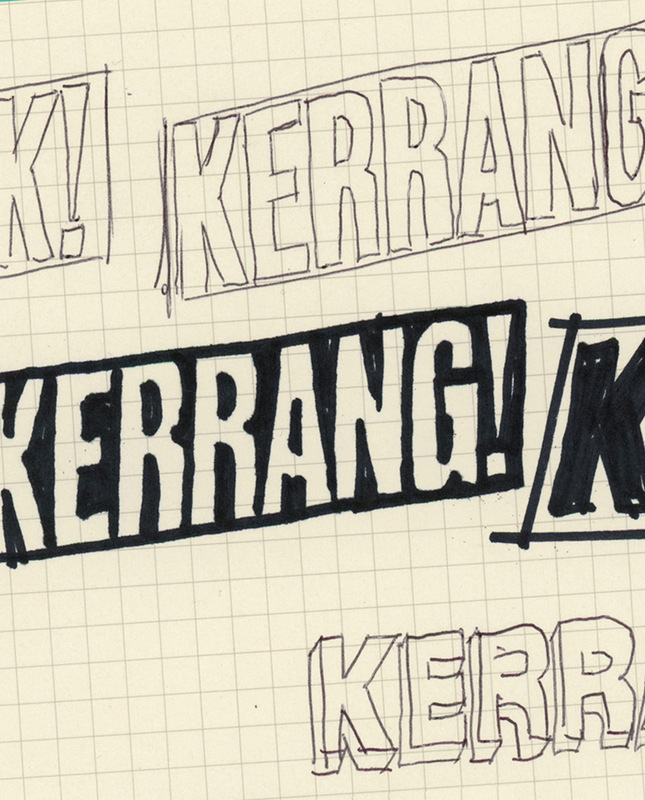 Behind the Design: Toby Evans on rebranding KERRANG! We caught up with Toby Evans in his south London home to discuss the inspirations and processes behind re-designing the iconic Kerrang! logo. New Kickstarter-funded book Clubbed plans to explore the rich visual history of UK club culture – everything from logos and lanyards to fonts and flyers. 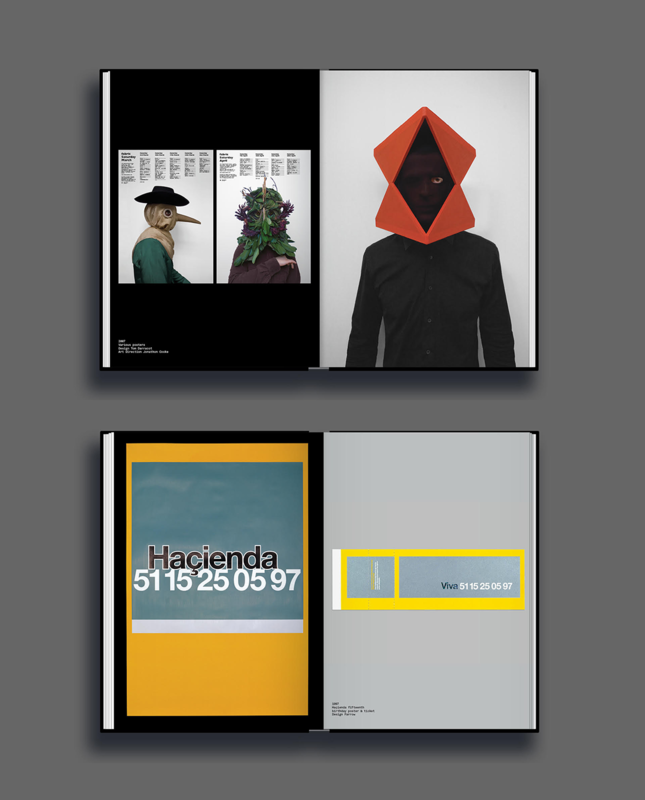 We talk with the man behind the book - designer Rick Banks - who tells the story behind eight of his favourite examples. Get to know the names behind the world's most striking contemporary urban art.